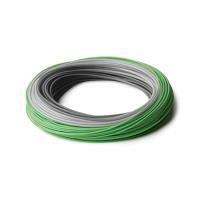 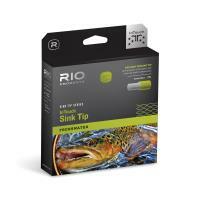 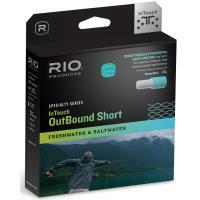 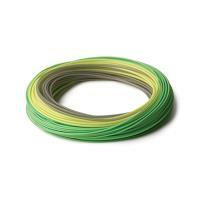 RIO Sink Tip Series InTouch Streamer Tip Fly Line is perfect for fishing streamers out of a boat. 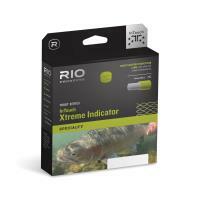 The short, heavy head loads rods at a close range, allowing anglers to make quick, one-shot casts. 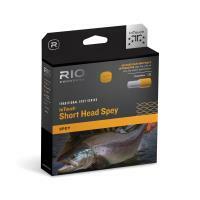 The front taper casts large conehead muddlers and bunny leech rigs with ease, while the welded loop on the front end makes it easy to change rigs. 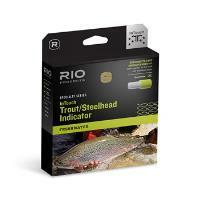 RIO Specialty Series InTouch Trout/Steelhead Indicator Fly Line is specifically designed for river fishers wanting exceptional control and range. 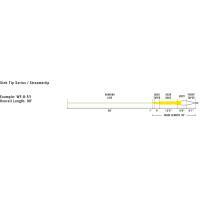 The powerful front taper turns over indicators with ease, while the long body and back taper create superior stability. 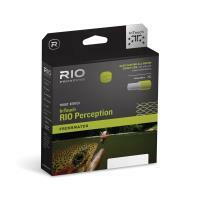 Built on ultra-low stretch ConnectCore, RIO Specialty Series InTouch Trout/Steehead Indicator Fly Line provides excellent performance to bring in those big fish with ease. 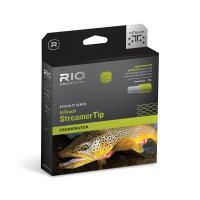 RIO Sink Tip Series InTouch Streamer Tip Fly Line is constructed specifically for fly fishermen that like to fish streamers out of a boat. The short, heavy head loads rods at a close range, thereby allowing anglers to make quick, one-shot casts. The front taper casts large conehead muddlers and bunny leech rigs with ease, while the welded loop on the front end makes it easy to change rigs. 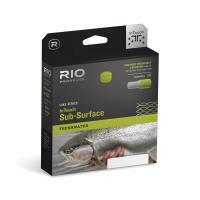 Made of RIO's special ultra-low stretch ConnectCore Technology with a cold water coating, this line will go onto your reel and stay there.